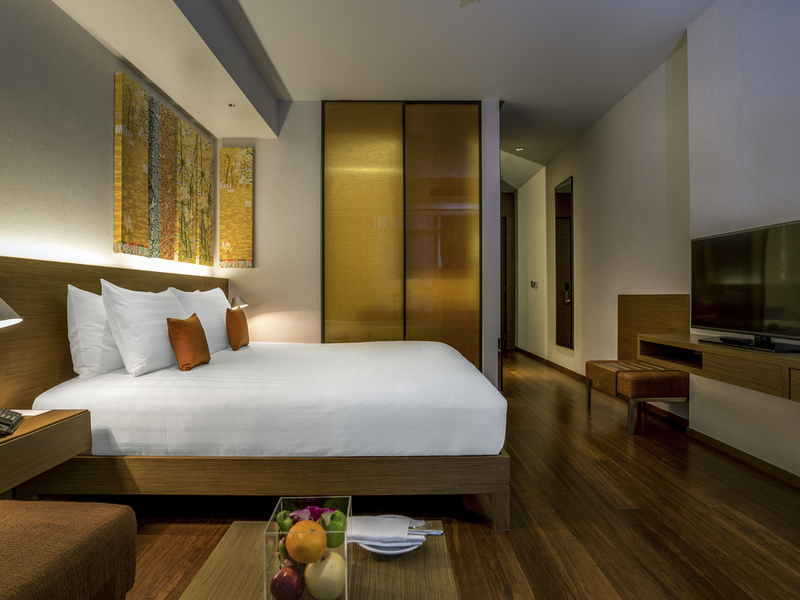 Pullman Bangkok King Power is just few minutes walk away from various tourist spots and markets. You can dip in the mesmerizing infinity pool located on the 4th floor, which is the major highlight of this luxurious hotel. Indulging in the diverse variety of breakfast is the perfect way to start your day. 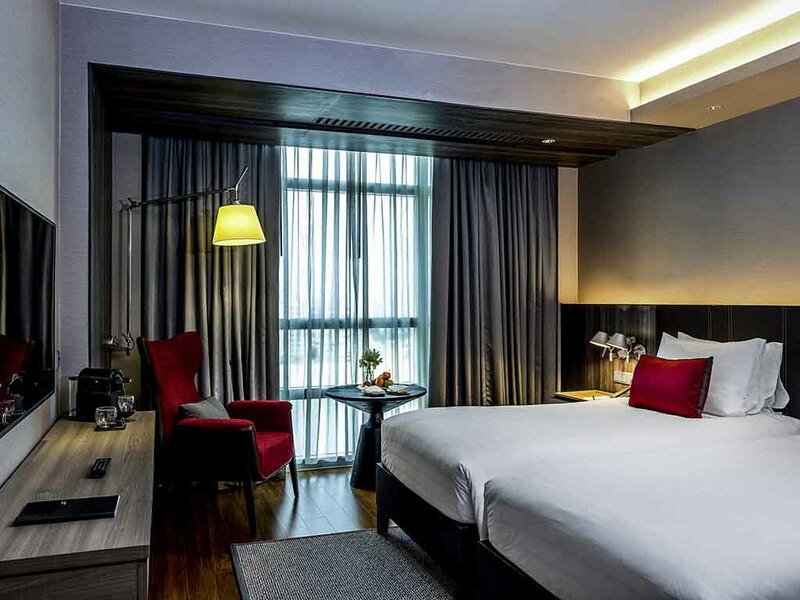 Pullman Bangkok King Power is one of the best 5-star properties in Bangkok. It is great for all kinds of travelers be it couples/honeymooners or business and leisure travelers looking to get away from their busy city life. It features an infinity pool and spa centre for its guests to relax their senses. The hotel boasts of its modern design and state of the art amenities. It has been inspired by the Bleisure concept and has award winning restaurants on site. 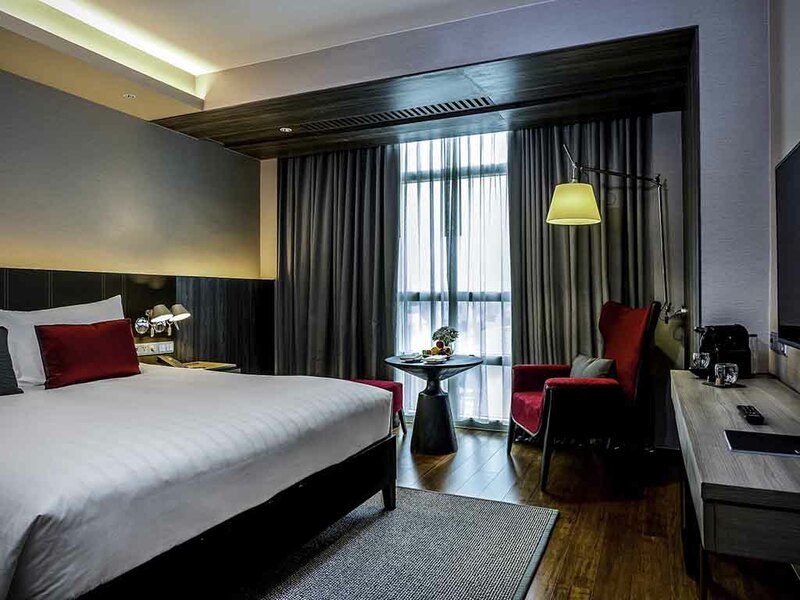 The hotel, being part of the Pullman chain, holds a high standard of comfort and care. The staff is friendly and speaks Chinese, Thai and English to cater to all guests. 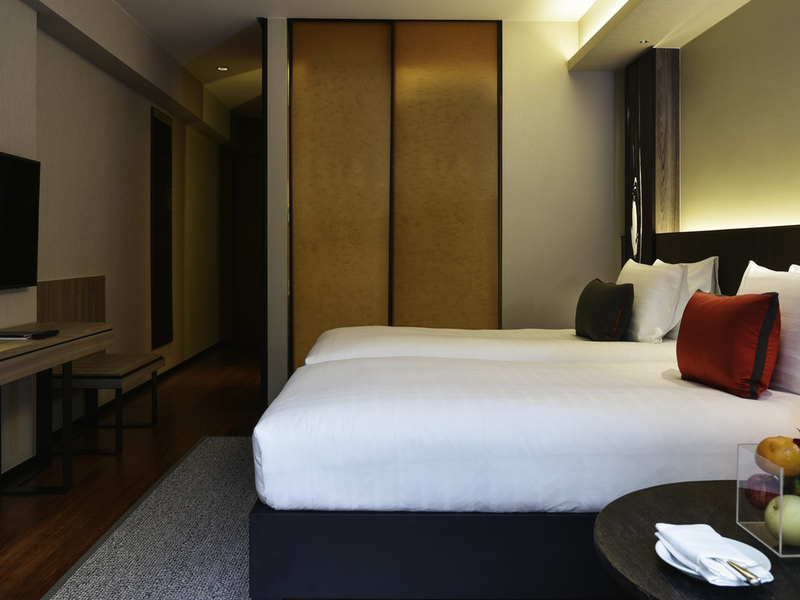 The rooms are spacious and elegantly designed. Guests can make use of the host of facilities and services or take advantage of the hotels location and visit several tourist attractions nearby. Aksra Theatre, King Power Complex and Suan Pakkad Palace Museum are some of the popular tourist spots close to the hotel. It is also conveniently located at walking distance from Victory Monument BTS Skytrain Station. The hotel has a total of 354 elegantly designed rooms offering modern amenities. All the rooms have TV, blackout curtains, desk lamp, hair dryer, safe deposit box and air conditioning. The private bathrooms have separate rain shower and bathtub. Guests can get room service which includes full meals to light snacks. The rooms have complimentary wi-fi as well as C.O. Bigelow room amenities. Some of the rooms have USB charging ports and telephones with free local calls. The Executive Rooms and Suite Rooms have a boardroom to conduct meetings, personalized concierge service, shoeshine service and evening cocktails as well. All the rooms are fitted with safety measures like sprinklers and alarms. 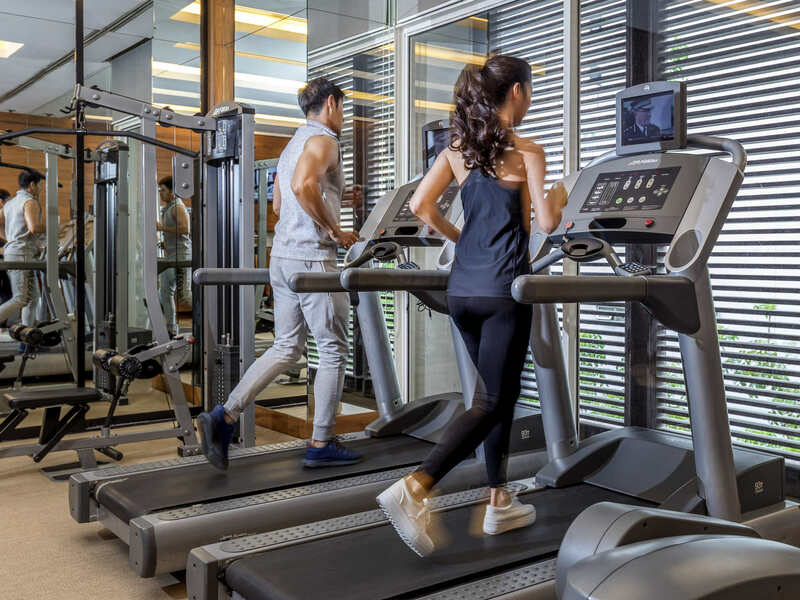 Pullman Bangkok King Power proudly boasts of a fitness centre, spa and pool. It also features restaurants and bars within the hotel premises for the convenience of the guests. Besides, the hotel maintains a free parking area, 24 hour front desk, travel desk, concierge service and foreign exchange counters. All the hotel rooms are equipped with state-of-the-art amenities and complimentary Wi-Fi. It also offers airport shuttle, dry cleaning, laundry and ironing services at additional charge. Other facilities offered by the hotel include luggage storage, ticket service, private check-in/check-out and on site shops. Families can also make use of the babysitting and child care services on request. There are three amazing restaurants and two bars at the hotel offering delightful culinary experiences and signature cocktails. Tenshino offers Japanese cuisine made from ingredients sourced from Japan and France. The Junction At Pullman serves juices, coffee, salads and other snacks. It is the perfect place for small social gatherings. Cuisine Unplugged at Pullman Bangkok King Power serves breakfast, lunch and dinner in a la carte or buffet style. It offers signature dishes including both Thai and international cuisines. Glen Bar is renowned for creative food and innovative beverages. The Pool Bar is an open air bar serving salads, sandwiches and grilled items. 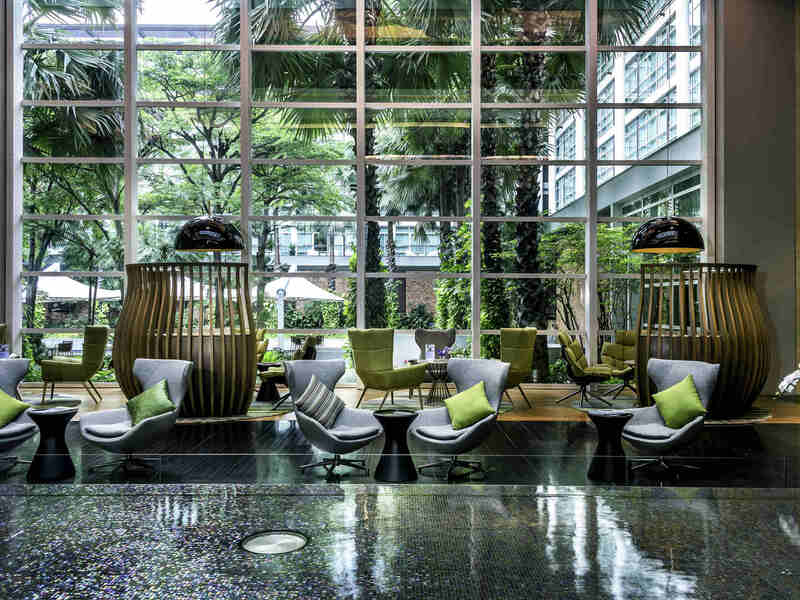 There is something for everyone at Pullman Bangkok King Power. Guests are sure to have an amazing experience at the hotel, especially at the award winning restaurants. Business travelers can hold meetings while families can make use of the various facilities and services. Does the hotel have facilities for differently abled guests? Yes, the hotel offers facilities for differently abled guests. 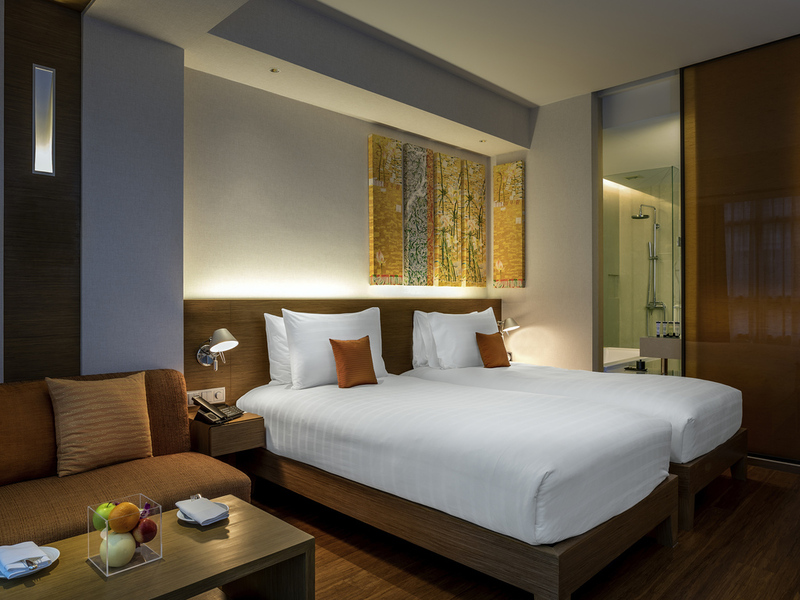 Pullman Bangkok King Power Thailand is about 22 km from the Don Mueang International Airport. Does the hotel offer airport pickup service to its guests? Guests can check-in anytime after 2:00 PM and are required to checkout before 12:00 PM. 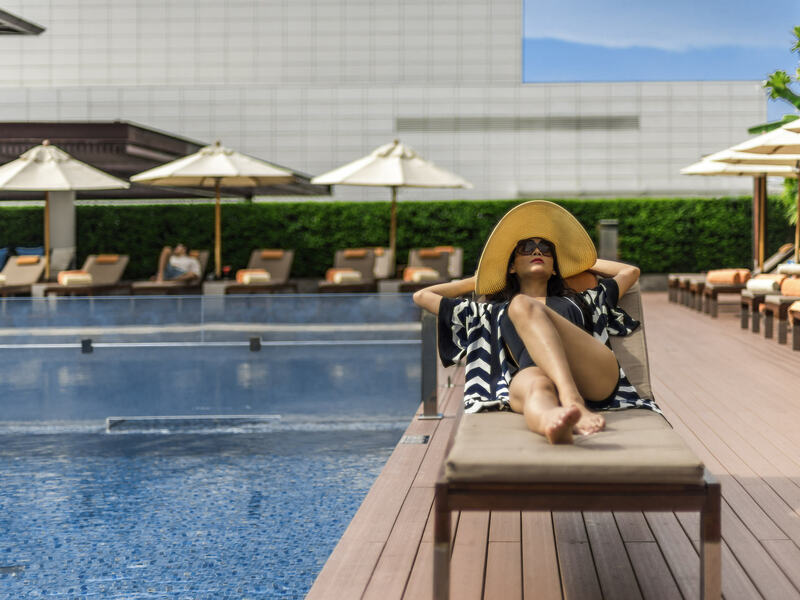 What are the activities to indulge in during the stay in Pullman Bangkok King Power ? 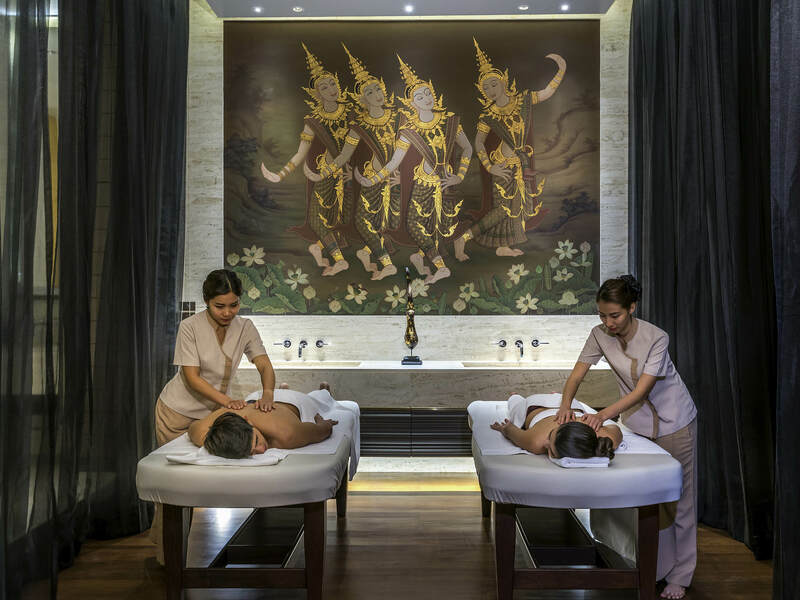 Guests can get massages and other treatments at the spa, set lap times in the pool or take part in the hotels wellbeing program. Fitness lovers can also work out at the well-equipped fitness centre. The hotel is close to tourist attractions like Victory Monument, King Power Complex and Suan Pakkad Palace Museum. 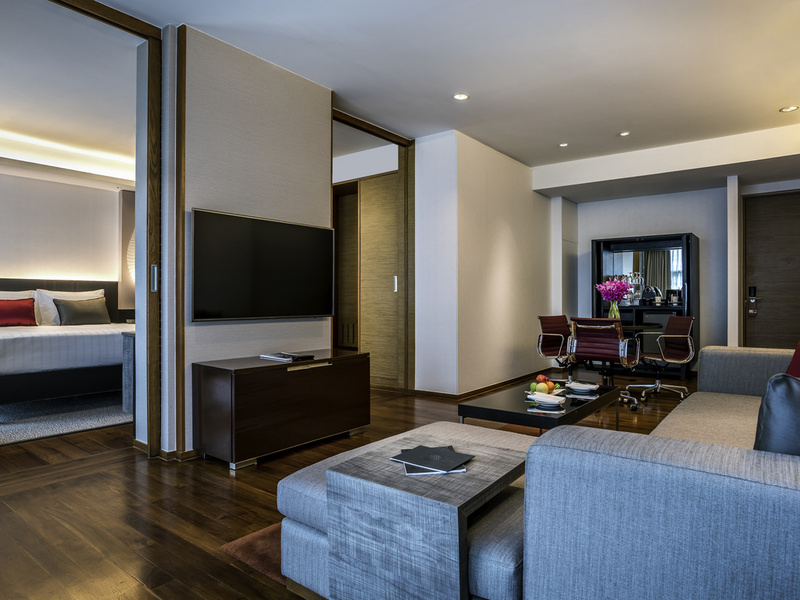 When it comes to comfort and luxury, Pullman Bangkok King Power Thailand leaves no stone unturned. Everything the guests could want, the hotel has it. There are a host of facilities and services that make this hotel an ideal vacation spot. The staff is welcoming and ready to help with all kinds of queries. 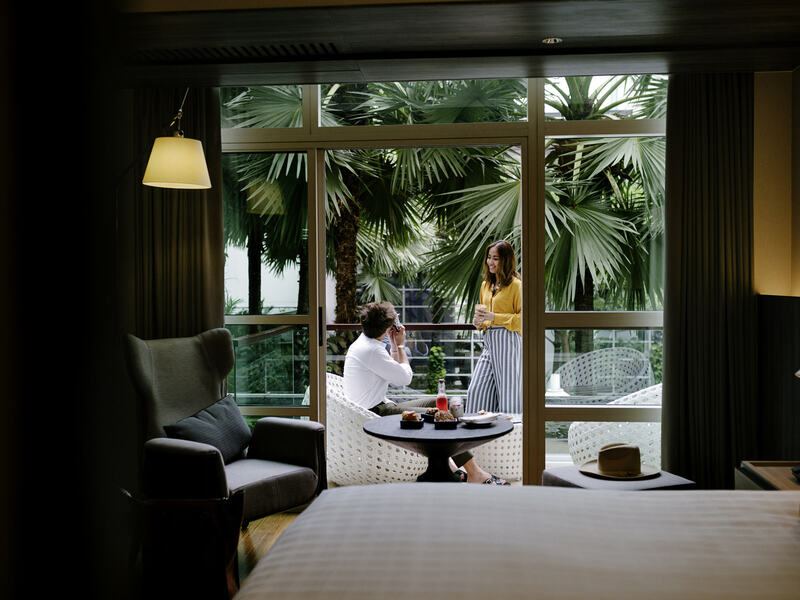 Couples travelling to Bangkok can have a destination wedding right at the hotel. From traditional weddings to stylish modern settings, the hotel can arrange for it all. It can accommodate up to 600 guests. Business travelers who want to arrange meetings or conferences can do so as well. There are 20 meeting room options with different seating options. Casual get togethers can be held at any of the rooms. 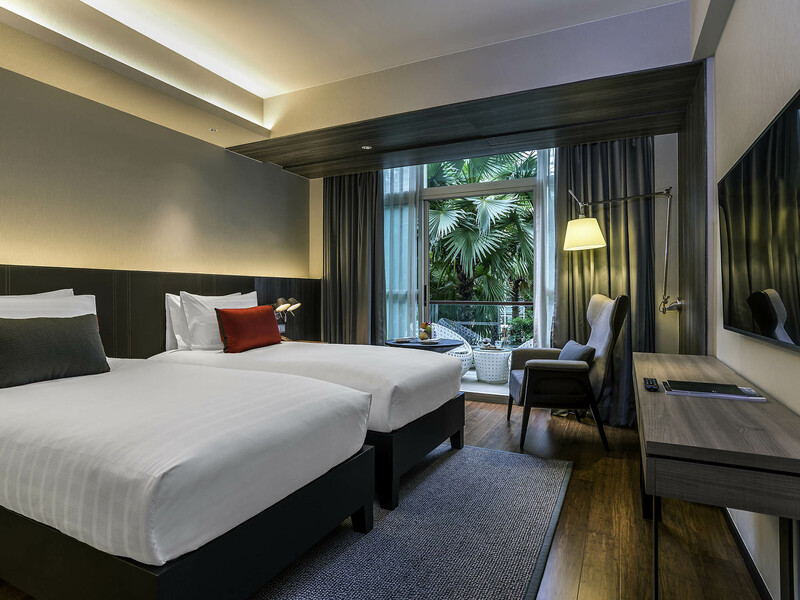 Pullman Bangkok King Power Thailand can cater to families travelling with children with child care and babysitting facilities. The wide variety of restaurants and bars can satisfy all pallets. Guests are sure to make unforgettable memories during their stay at Pullman Bangkok King Power.